Meteorologist Dave Price with your forecast for Wednesday, Aug. 8. More punishing storms are expected Wednesday, less than 24 hours after wild weather ripped through the tri-state, leaving three people hit by lightning in the same borough where a rare tornado touched down six days ago. Similar to Tuesday, Wednesday started out dry and steamy. Once again, clouds started to build up mid-day, and an approaching cold front is expected to trigger nasty storms that could bring gusty winds and heavy downpours to a large swath of the region. Frequent lightning and localized flash flooding are both possible, Storm Team 4 says. 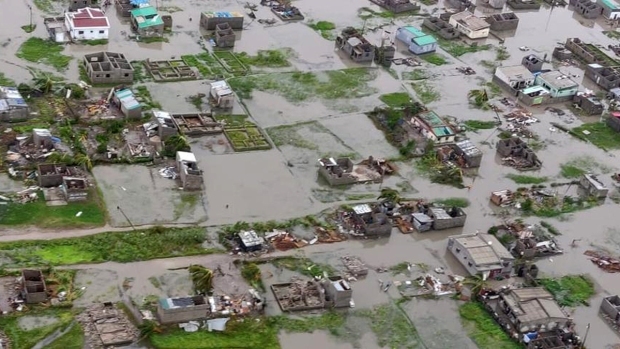 Check the latest weather alerts here. It stays hot and humid Wednesday, Storm Team 4 says, with highs peaking around 90 degrees. It's expected to be the fourth and final day of the heat wave plaguing the tri-state since Sunday. Find a cooling center here. A stray shower or storm is possible Thursday morning, Storm Team says, but the unsettled weather should lessen overnight. Conditions gradually improve from there, with humidity dipping a bit as temps drop back into the high 80s. Friday appears to also stay dry before more storms are possible on Saturday and Sunday. 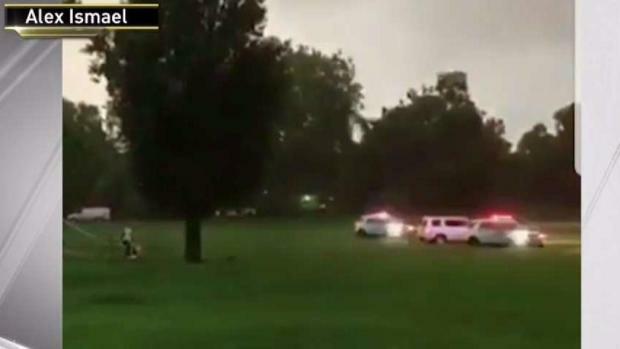 Three people were struck by lightning when thunderstorms roared through the tri-state, two of them while playing soccer at a Queens park. Ray Villeda reports. It's been a wild week of weather for the entire region. On Tuesday, three people were struck by lightning in Queens, two of them while playing soccer at a park, police say. The third was struck near Baisley Boulevard and 155th Street in South Jamaica. One man is in critical condition, while the other two men are expected to survive. On Long Island, lightning strikes are blamed for nine fires in eight separate Nassau County communities in a three-hour period Tuesday night. "It definitely stressed the 71 volunteer fire departments in Nassau and their resources," said fire marshal Michael Uttaro. "They were running all over the place." The fire damage at Hempstead's Prospect Elementary School is so extensive that it's not clear whether school be ready for the first day of classes in less than a month. And another fire at a LIRR substation resulted in delays and headaches for train rides Wednesday morning. In Suffolk County, lightning brought down trees in Selden, one trapping a wheelchair-bound stroke victim, Mark Vosheki, inside, and another just missing a bedroom where a mother was sleeping with her toddler. "It was so unreal," said Alzira Kaufman, the mother who was sleeping in her bedroom. "If felt like a nightmare and looked a horror story outside." Last week, an EF0 tornado wreaked a near mile-long trail of destruction in College Point in Queens, toppling more than 50 trees.